The unplanned organism is a question asked by nature and answered by death. You are a different question, with a different answer. 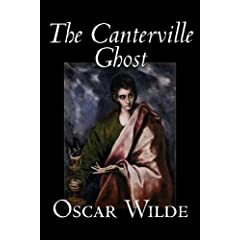 This short book is about an american family, the Otises, who move into the english castle of Canterville somewhere in the late nineteenth century. They are warned by the staff at the castle that it is haunted by the ghost of Simon Canterville who lived there in the sixteenth century. Apparently he had killed his wife and then went missing. The reminder of that horrible murder is the bloodstain on the floor of the kitchen. A bloodstain that is impossible to remove. Rubbish, according to the eldest son in the family as he easily remove the stain with an american detergent. The staff is terrified as they now fear the wrath of the ghost, but the american family isn't worried of any ghosts. On the next day though, the stain is back and even redder than before! What follows next is the attempts by the ghost of Canterville trying to scare the shits out of the newly moved in family. He is an accomplished ghost who takes great pride in all the horror he has caused the earlier inhabitants of the castle. But the american family seems impossible to scare. The book is a different take on the traditional ghost story. We get for most of the book the viewpoint of the ghost and how he battle with his feelings of inadequacy and his low self-esteem that stem from his inability to scare the new residents. The ghost also seek eternal peace, but who will give it to him? I found the book to be entertaining, as it is a satirical and tragicomical tale of someone or something that tries to do it's assigned duty and profession and ultimately fail due to the complete disrespectfulness of the new modern era of non-superstitiousness that the american family represents. This is accentuated when the family head, Mr. Otis, tells the staff that there can be no ghosts since ghosts defy the laws of nature.